The shot fired from an air gun that disrupted the tranquility of a tree-lined provincial road in the central Italian city of Forlì in early July was met with disbelief by those who initially didn't pick up on it — not everyone in the city pays much attention to local events. The first to be taken by surprise was Hugues Messou, a 34-year-old of Ivorian who had been heading home on his bike when the shot hit him in the abdomen. Having lived in the city for more than 10 years, Messou never knew it as a dangerous or hostile place, despite the occasional racist remark thrown at him. "The car stopped for a few seconds ahead of me," he told DW, "but I couldn't see exactly who was inside. It was at least two people, around 30-years old, maybe older." He filed a report at the local police station the following day. There are cameras about 200 meters down the road from the location of the incident. "It was late at night, and it happened twice in the space of two days," Messou said. "Whoever did it left the house with the intention of shooting a black person." The local police department has in the meantime responded to DW's request for comment and confirmed that an investigation into Messou's case is ongoing. Two days before Messou's shooting, a Nigerian woman had been hit by a pellet fired from a scooter on a nearby street, but had not reported the incident. "I was talking about what happened to me at the local bar, and that's when it came up," Messou said. "If they're using guns, that's worrying." In the past 50 days, at least nine people belonging to ethnic minorities have been reported shot and wounded across Italy. Eight of the attacks were carried out with BB guns — air-propelled guns whose round, metal bullets can nevertheless lead to serious injuries — and one with live bullets. One of the incidents involved a one-year-old Roma child who was shot in the back in Rome. The shooter, a government employee, would later tell police he had fired to "test the gun." 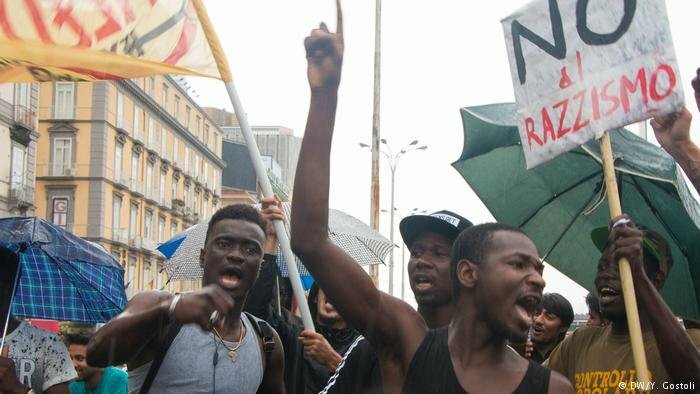 On June 11, two Malian refugees living in a reception center near Naples told local media they'd been shot at from a passing car while its occupants shouted slogans in support of Matteo Salvini, Italy's interior minister and leader of the far-right League party. A month later in Latina, a city south of Rome, two Nigerians were hit by BB gunshots fired from a passing car. The perpetrators were later identified and reported to the police for bodily injury with the aggravating circumstance of racial discrimination. In the same city at the end of July a man of Cape Verdean origins was hit in the back by a shot fired from a balcony while he was working on a scaffolding. Local media reported that the man responsible later told investigators he'd meant to hit a pigeon. And in Naples earlier this month, a 32-year-old Senegalese street vendor, was shot at three times by two people on a scooter, this time with live bullets. One of the bullets hit him, fracturing his thighbone. A further shooting was reported in Pistoia, Tuscany, where two 13-year-old youngsters shot blanks at a Gambian man. Upon being identified by police, they claimed the act had just been a prank and "not racially or politically motivated." Serge Diomande is a member of the local council's citizens' committee in Forlì and chairman of Anolf, the National Association Beyond Borders. The Ivorian, who has lived in Italy for nearly 10 years and works as a warehouse keeper, says it's hard to ignore what happened. "Until [those responsible] are caught, we will always be in doubt," he told DW. "We want to know who and why. This never happened here before. Forlì has always been a very open city," he said. "Political parties shouldn't play with migration. It's like playing with Italian culture." Since taking up office on June 1, the coalition government, which comprises the far-right League and the anti-establishment Five Star Movement, has been turning away boats rescuing migrants in the Mediterranean. Salvini also announced he would speed up deportations of illegal migrants. The government has responded to accusations that its policies and rhetoric stoke up fears and legitimize violence by denying there is a problem. According to Salvini, racism is "an invention of the left." Journalist Luigi Mastrodonato has mapped more than 30 physical attacks on minorities across Italy from the beginning of June. Racism watchdog Cronache di Ordinario Razzismo (Chronicles of Ordinary Racism), part of the NGO Lunaria, published a report earlier this year that counted 169 discriminatory incidents in the first three months of the year. There are no regular police figures on hate crime in Italy. The last available data from the OSCE Office for Democratic Institutions and Human Rights which monitors hate crime among participating countries, dates back to 2016, when the organization counted 803 instances of hate crime as reported by the police. 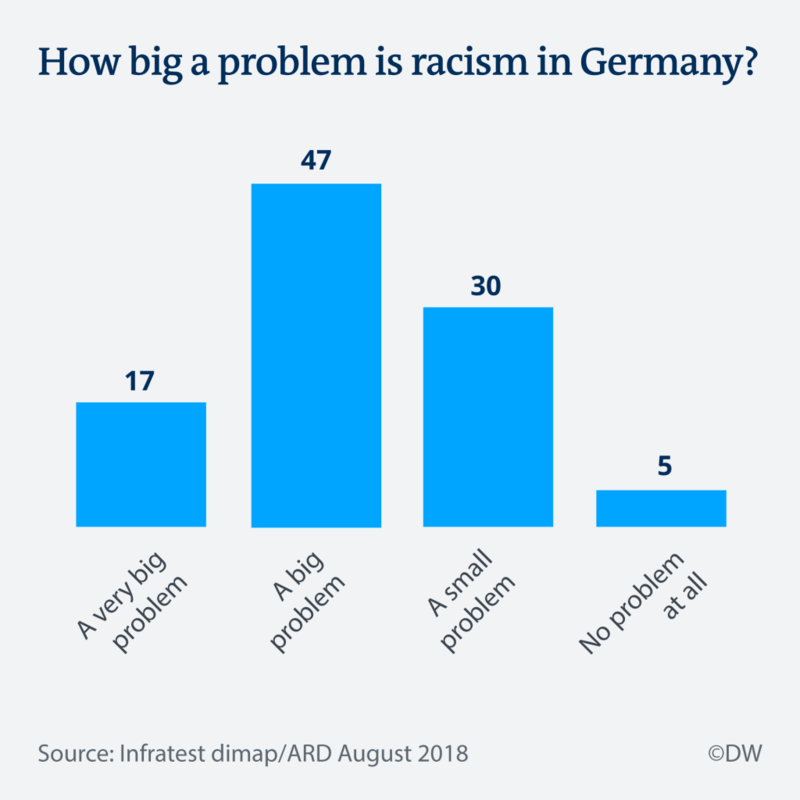 The majority had their roots in racism or xenophobia. 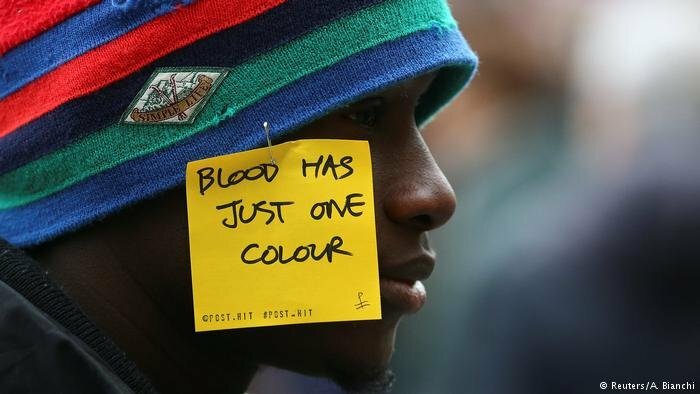 When the police pursue cases, a racist background is not always recognized and is often played down, particularly when there are other possible or multiple motives. 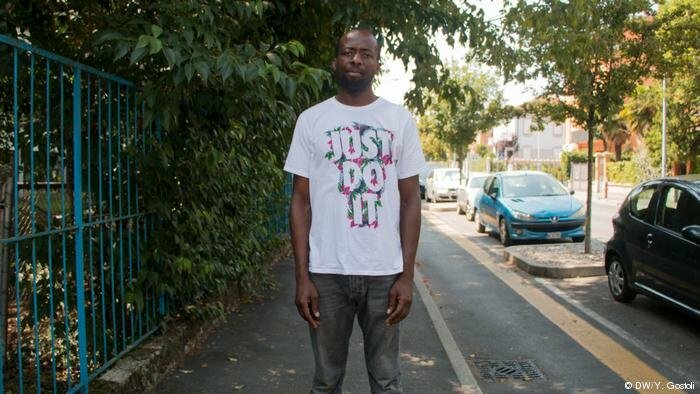 A day after the Italian election in March, a Senegalese street vendor, Idy Diene,was killed in Florence by a man who later claimed he had wanted to commit suicide but had, instead, turned his gun on a random person. Police categorized the killing as based on "trivial motives." In the latest incident on Wednesday, three young people, including two minors, shot pellets from a window in Aprilia, a city south of Rome, and wounded a Cameroonian man in the foot. This comes after a Moroccan man was killed in the same city in a car chase earlier this month when three men, who later said they took him to be a thief, decided to take justice into their own hands. The circumstances of the killing are being investigated. The three deny any racial motive. "Over time, we've seen a process of increasing legitimization of behavior that, in the best of cases, is of downright hostility and intolerance towards minorities," said Grazia Naletto, head of Lunaria, which has been documenting and raising awareness of racism in Italy for the past 10 years. "News reports from the past few weeks are concerning regardless of numbers because we are talking about physical assaults, in some cases serious ones. For some of these cases the authorities in charge of the investigation have not recognized the racial element. There is certainly a cultural, social and political climate in the country which tends to fan certain social behavior. We have seen it turn aggressive," she told DW.